This Sifter Jar Set from Kilner is ideal for any baker. The set provides you with a 1 litre Kilner jar, a mesh lid for sieving and a push top lid for storing. 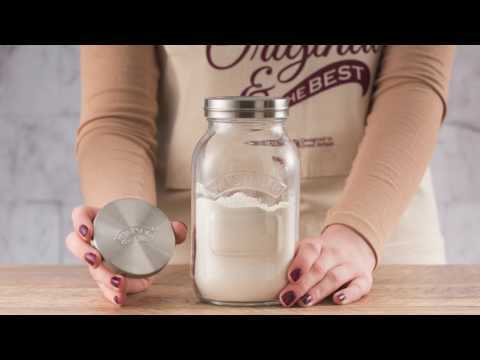 The jar is ideal for any number of baking necessities such as flour, cocoa and baking powder. You can easily sieve and store your ingredients in this jar.